The team of staff and volunteers at the Havering Volunteer Centre is working to create lasting change in our community. Each member of our team brings unique experiences and skills that contribute to our mission . 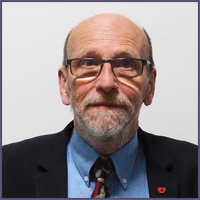 Simon is a retired manager in a Bank and currently volunteers with CAB witness service, a current volunteer for Brookside Theatre and is the Secretary with the largest table tennis club in the area. His financial background is deployed overseeing Havering Volunteer Centre’s budgets and finances. 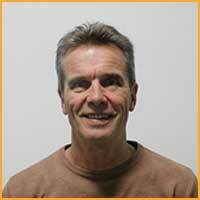 Simon has been volunteering for 10 years and offers HVC a varied diverse range of expertise. Jan is currently employed by Saint Francis Hospice as the business development manager and has been working in the voluntary sector 30 years. 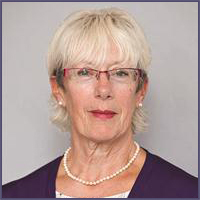 Jan was previously the divisional manager for the North East London area at Victim Support and in that time managed extensively large budgets, partnership working, many successful projects and teams of trusted volunteers. She has a long standing passion for the voluntary sector and this is displayed by her joining HVC as a member of the board of trustees. Since retiring from commerce, Simon has become involved as a volunteer as an Independent Custody Visitor, the CA Witness Service and acting as an appropriate adult at Ilford Police Station. He is also a member of Redbridge Safer Neighbourhood Board and Stop & Search Monitoring Group. I have spent all my working life in the public sector, firstly in Local Government, a short stint in the Health Service and latterly the Metropolitan Police. I have held a series of senior Management Services and HR roles since the md 80’s, including six years as Head of HR for Newham Council until 1992. My last employed role was with the Met Police where amongst other roles I was Director of Occupational Health Services for four years and latterly the Director of the Strategic Disability Unit, which I set up and ran for two years. I had a national role in the police for Disability, Mental Health and Occupational Health. I spent my last five years of work as a self employed HR/Management Consultant working in the police service, mainly for the Association of Chief Police Officers where I led on national police pay and conditions negotiations and other Police Forces in England and Scotland. I ceased working in 2010. I have been an elected Councillor for Havering Council since 2006, representing Upminster ward. I was a school Governor for fifteen years at my son’s secondary school and twelve years, ten years as Chair, for a Special School in Havering, Education Foundation Governor for Coopers Coborn School, Vice Chair of Havering’s Stop and Search Monitoring Group, a member of the local police ward panel, a Trustee of First Step and a Rotarian. I undertake work for the Local Government Association as a member of the Resources Board and all the NJC/JNC bodies for Local Government Services, Fire and Rescue and other groups. I am married to a serving Police Officer. Rachel is one of HVC’s most experienced brokers, having volunteered previously for HAVCO at Romford library as a broker. Rachel joined Havering Volunteer Centre in June 2016 and is now our lead broker and trains and mentors new volunteers who wish to undertake matching individuals to volunteering roles. Rachel brings extensive knowledge on what it is to be a volunteer in Havering and currently volunteers for First Step in Hornchurch. Jo commenced volunteering at Havering Volunteer Centre in June 2016 as a volunteer broker, before this she also volunteered at HAVCO assisting the brokers at Romford Library. Jo comes with a wealth of experience having worked in various fast paced roles. Since June 2017 Jo has also volunteered as a receptionist with HVC, which provides a warm and inviting experience to the community. Darren began his journey with us as a volunteer broker in October 2017 having had a brief break from being in the finance industry for 30 years. In his career he has worked for many high profile banks, in a fast paced environment both locally and in the City. Darren grew up in Havering and has great knowledge of the borough and its community which helps him in his role here at the centre. Daniel joined us in June 2016 to input all our referral contacts on to our spreadsheets. Daniel was a volunteer with HAVCO and could not wait to join us here after their closure. He is a wizard on the keyboard and keeps our records up to date. Daniel’s entry skills are second to none. Sherron joined us in December 2016 as a volunteer bookkeeper bringing with her 24 years’ worth of knowledge and experience. She helps to keep us on track with project finances and day to day cash flow and ledgering. Sherron is also employed by a finance company but still manages to dedicate time each week to volunteer with HVC. Veda joined Havering Volunteer Centre in August 2016 and has really helped keep us neat and tidy. Veda is meticulous and gives every room in our building the once over. Her dedication to us is incredible. Kelly joined HVC in August 2017 as a volunteer broker bringing with her a wealth of customer focused experience having worked at some of London’s biggest railway stations. Kelly is currently studying at adult college to broaden her horizons with the hopes of empowering those struggling with mental health conditions. Her experience brings valuable resources to her role as a volunteer broker. Warren launched his volunteering journey with us in November 2016 as one of our lead receptionists. Warren has a vast experience working in the mortgage industry and brings with him a welcoming, warm and approachable manner to his volunteering role. Since joining us he has become instrumental in training new receptionists, making them feel comfortable sharing his knowledge and providing them with the precise experience to begin their volunteering journey. Alfie joined the team in September 2016 to provide much needed media and marketing support. He has been instrumental at keeping our website current; assisting with the layout, producing flyers and posters. He has used his design techniques to produce some amazing pieces of artwork for us. Julie joined Havering Volunteer Centre in July 2016 as a volunteer admin assistant. Julie comes with a wealth of volunteering experience having volunteered for HAVCO for many years, SSAFA and the ultimate legacy a “London 2012 Olympic Ambassador”. Julie has many years of admin experience, excellent proof reading and brings her skills to the centre. Jessila joined Havering Volunteer Centre in January 2017 with a wealth of volunteering experience with other organisations in IT based roles. Jessila has easily settled into the routine here and is part of the team. She is very methodical and target driven, given a goal and she exceeds this every time. She assists us with our follow up procedures and helps us keep track of our volunteer placements. Charles joined us in July 2017 and is a real whizz with the hoover, his keen eye for detail means no corner is left untouched, keeping the centre clean and presentable for its visitors. Shelley has been working in the voluntary sector since 2001 when she joined Victim Support Havering. 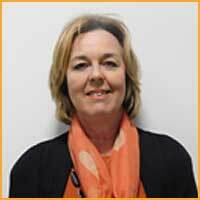 Shelley was the Senior Service Delivery Manager for Havering and Barking and Dagenham. This is where she first became aware of the outstanding achievements that volunteers bring to an organisation without whom many could not and would not survive. Shelley has continued to be a volunteer throughout her adult life, starting with PTA’s, Rainbow Girl Guide Leader and more recently assisting the Royal British Legion with their Poppy Collection Appeal. Shelley joined HAVCO as the Volunteer Centre and Quality Manager in December 2014 but when they sadly closed their doors in October 2015 she could not walk away from helping individuals and organisations with their volunteering needs. In October 2015 she set up the new Havering Volunteer Centre which is now in full operation and have new offices in Central Romford. 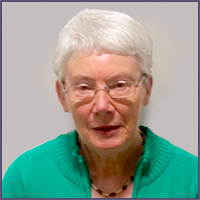 She has a team of volunteers assisting her in the office ensuring the daily functions and life at a busy Volunteer Centre runs smoothly and assisting those in the borough to engage in volunteering. She has made many great contacts in Havering and neighbouring Boroughs all seeking volunteers to assist them in their volunteering organisations and we have many great and varied volunteering roles you could get involved with. So far the Centre has been very successful in gaining new volunteers wishing to volunteer in Havering and we are always seeking more volunteers so if you would like to find out more please contact any one of the team who will be willing to assist you in finding that vital volunteering role in Havering.